Facilitate digital engagement for your customers, employees and business partners through IT-Blocks Enterprise Portal Services. In the digital age of today, the need for easier access and faster processing of services is on the rise, making it a must for banks, enterprises and governments to offer services not only information through a decent, highly interactive and secure portals. Working with leading software providers and with a track record full of success stories, IT-Blocks is the right place to start, grow with and enhance your enterprise portal. Business collaboration software and Enterprise social and email solutions. 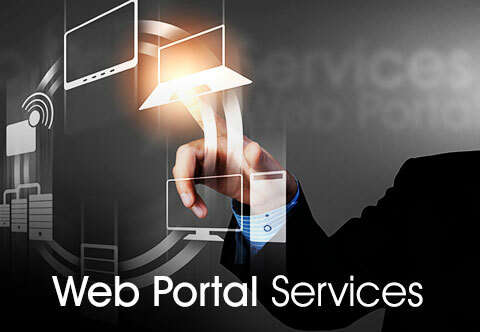 Whether you’re a government entity or a business enterprise, working with IT-Blocks portal services will transform your web content management workflow into a satisfactory and seamless user experience, not only saving you money on website maintenance costs but also presenting you with higher security and user empowerment. Shared workspaces and document management tools for employees and partners through IBM portal messaging and collaboration solutions (formerly Lotus software). Through IBM WebSphere® Portal, IBM Web Content Manager® and Microsoft SharePoint, IT-Blocks offers all types of Enterprise portals i.e. content portals, transaction portals, government portals and collaboration portals. IT-Blocks portal services allow enterprises, governments and corporations to take advantage of portal technology enhancements to closely connect with their citizens, employees, customers, and partners. IT-Blocks Portal Services delivers business collaboration software and Enterprise Social and Mail solutions through IBM Collaboration Solutions (formerly Lotus Software) to empower people inside and outside your organization to connect, collaborate, and innovate. Enterprise self-service portals keep steady contact between stakeholders and the enterprise as well as enabling decision makers to take more effective decisions in a faster and more informative environment.